After I read Magesh’s blog on Avaniavittam , my thoughts went back to my school days when I took active part in Maargazhi maadha bajanai at Tiruppapuliyur ( TPR in short ). In those days, the Agraharams of TPR were dominated by Brahmins. The Maargazhi Maadha Bajanai used to be held in a grand manner. The Bajanai was led by one Mr Duraiswamy Iyer , a Bank officer who was an expert on Bajanai songs . The Bajanai used to start at about 4 30 am and it will come near our house at about 530 am. ( Our house was in the middle of the Bajanai Route. ) Most of the days , I and a few of my agraharam friends of the same age group, will join the Bajanai at the starting point itself ., if not, we will join it when it comes near our house. Some 20 / 25 elders ( including our father ) and about 10/ 12 boys will take part in the Bajanai which will end at the Bajani Madam near the Paataleeswarar temple at about 6 30 am. There the crowd will swell to more than 50/60 - You know why ? - because of the steaming Vennpongal prasadam that will be served after the deeparaathanai. We the senior boys will become volunteers once the Bajanai reaches the Madam and will look after the distribution of Pongal. Now about this distribution. The Pongal will be distributed in Badam leaves only. For this, we used to collect Badam leaves from a house which was near our house ( Tasting Badam Paruppu is a separate story and will be narrated in another blog ! ) everyday and preserve them carefully in the Bajanai Madam. Badam leaves was preferred because it was strong and at the same time broad enough to hold the Pongal. Needless to mention, the broadest of the leaves will be reserved and kept separately for the Volunteers! And before the distribution begins, a good amount of Pongal will be kept separately in a big bucket , ( for volunteers ,of course ) . The Pongal used to be sponsored by the various families residing in the agraharam and unless one reserves a day in advance, they may not get a chance to sponsor ! Such was the demand . On a few days, the Pongal left over after distribution will be much more than what we can carry home and in those days, we (the volunteers) will have our Breakfast in the Bajanai madam itself ! On special days like Vaikunta Ekadasi, Tiruvaadhirai, New years day, Bogi day etc, there used to be more than one Prasadam , the additions being usually Sakkarai Pongal, Sundal etc. And those days were the ones when we used to have great difficulty since there will be a huge gathering . But we always managed and ensured that everybody got the prasadams by adjusting the quantity per head. Those were the happy days at TPR when we had the full satisfaction after singing songs in praise of God in the early morning and doing some social service too ! Will we get back those days ? A nice presentation. It reminded me of my younger days and also my stay at Jamshedpur. I was in charge of the Prasadam Distributing Committee of Telco Tamil sangam. I used to be addressed as Sundal Mama by the kids. வலைப்பதிவு உலகிற்கு (மீண்டும்), 2005-க்குப் பிறகு வருகை தந்துள்ளதற்கு மகிழ்ச்சி. 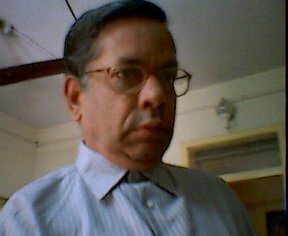 பஜனை அனுபவம் படிக்க இனிமையாக இருக்கிறது. இன்றும், மயிலாப்பூர் மாடவீதியில் பஜனை, வெண்பொங்கல் விநியோகம் நடைபெறுவதாக மயிலாப்பூர் டைம்ஸ் கூறுகிறது. மேலும் பல வலைப்பூக்களை ஆர்வத்துடன் எதிர்நோக்குகிறேன். இப்போது யார் வேண்டுமானாலும் இந்த போஸ்டுக்கு கமண்ட் எழுதலாம். When I started going to Bajanai, Patti/Thatha asked us to wear a towel around neck/head to get protection from Marghazhi Pani !! We used to go to the starting point itself so that we can get one "JALRA". There will be heavy competion for the same. While the bajanai goes round, Bajanai Ghosti will be invited inside the house by some of the family residing on the way and will be offered with Milk. There will be always expectation for this from our side.